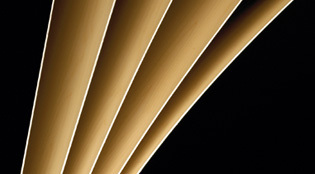 Boatcraft stocks a wide range of marine and other plywoods suitable for use in boats. This includes marine plywood built to AS2272, BS1088, exterior plywood to AS2271 and other specifications,, some specialty plywoods including teak and ash, bendy ply and craft ply as thin as 0.4mm. Here is a useful summary of plywood grades and specifications. At the highest quality end of our range is our AS2272 Hoop Pine Marine Ply, next on the scale is the BS1088 Gaboon Marine Plywood, followed by Pink Marine Ply and the bargain of them all our BS1088 Hardwood Marine ply . We also carry a good quality exterior grade plywood. This is very usable for many jobs on boats. It is made with the same adhesive as marine ply (A Bond) how-ever the principal difference is that the interior veneers are of a lesser quality, which mostly means larger core gaps. Fully coated in epoxy, this exterior plywood is very suitable for many uses on boats and other wet situations. Our range of specialty plywoods includes Bendy Ply, both cross grain and long grain, and Teak and Ash striped veneered plywood for that lovely deck and the Finish Birch plywood which comes in thicknesses from 0.4mm and up. We now stock 3mm MDF sheets. We have been recommending to everyone that they buy 2 of these when we send plywood to them. Since we have been doing this, the problems with damage to ply in transit have almost completely stopped. If you wish to have ply sent to you, we really do think this is a cheap but very effective way of ensuring that you receive your plywood in the best possible condition. We can send the plywood to any where in Australia, with direct transport to Brisbane, Sydney, Melbourne, Adelaide, Perth, Darwin, the Gold Coast, the Sunshine Coast, Townsville and Cairns.